An unprecedented growth in the population of seniors poses a challenge to the healthcare industry. As the largest workforce in healthcare, nurses are especially affected. One study found that one out of five Americans are over the age of 65, and many of them suffer from multiple chronic conditions, which increases the need for long-term care. The volume of nurses approaching retirement also impairs the industry’s ability to meet the demand for care in hospital wards and clinics. More than 45 percent of nurses are over 50, and as they retire, there will be a huge gap in the workforce. Community Colleges in South Dakota are working to educate more nurses to meet demands. Enrollment in the associate degree in nursing programs has gone up as adults seek to take advantage of open positions. Wage increases in the sector attract more potential nurses to the industry. In South Dakota, enrolment in ADN programs increased 74 percent between 2010 and 2016. Practice as a registered nurse requires either a bachelor’s degree in nursing or an associate’s degree in nursing (ADN) from an approved nursing program. Graduates of both programs are eligible to apply for a state license – subject to approval from the South Dakota Board of Nursing. The ADN program is designed to be completed in two years, which helps to produce a steady stream of professionals to strengthen the workforce. While the degree is suitable for entry-level practice at the bedside, a bachelor’s degree is essential for leadership positions, advanced education, and employment in some hospital settings. The associate degree in nursing program prepares adults to take the National Council for Licensure Examination (NCLEX) for employment as a Registered Nurse (RN). The curriculum incorporates theory and practical instruction built on the foundational health care needs of the individual and family. Students will learn how to provide support to individuals and families to promote, maintain, and restore health with a cultural framework. During the course of study, students will not only advance in academic and clinical learning but will also receive preparation for further study. Course topics will include fundamentals of nursing, medical terminology, pharmacology, general psychology, anatomy and physiology, medical surgical nursing, maternal child nursing, mental health, gerontology, obstetrics, and pediatric nursing. At the conclusion of the program, students will be able to apply knowledge of the nursing process, use critical thinking to make decisions, exhibit cultural sensitivity in a care of diverse populations, demonstrate professional, ethical, and legal accountability in practice, collaborate and communicate effectively with members of the healthcare team, and use evidence-based practice to provide safe and competent care across lifespan. Most programs take a career ladder approach, which gives graduates the option to enroll in programs offering higher degrees in nursing after they become a registered nurse. The ADN curriculum will pinpoint pathways for upward mobility. The transition RN-to-BSN program is one example. RNs can seamlessly transition to the BSN without repeating courses taken at the associate’s level. In just one year, they can prepare for expanded roles and responsibilities in leadership, administration, or research. Completing the intensive nursing program requires commitment and determination. Preparation to become a nurse requires single-mindedness, diligence, and competence as nurses hold patients’ lives in their hands. Apart from classroom work and on-site clinical experiences, students must also commit time to outside study and assignments. Preparation in sciences, such as microbiology, chemistry, anatomy and physiology, and psychology are beneficial. Also, training and certification as a Certified Nursing Assistant may also give students an advantage in their understanding of basic healthcare and the healthcare environment. Admission to nursing programs is always competitive, so training and experience in these areas could prove advantageous. 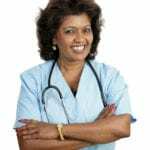 A history of discipline on a South Dakota Board of Nursing license (LPN or CNA), history of repeating science prerequisite and previous nursing course, and criminal offenses could prevent your acceptance into the nursing program. The average cost of tuition for the associate degree in nursing program is $21,658 not including the cost of completing prerequisite courses. Additional expenses not included in the tuition include textbooks, uniforms, CPR certification, liability insurance, program fees, equipment, and the cost of travel to and from the clinical sites. Admission costs will include the cost of completing the background check, physical requirements, and drug screen. South Dakota nursing law prohibits practice as a registered nurse without a valid license or temporary permit issued by the South Dakota Board of Nursing. Any violation of this law is prosecutable by law. The law makes no provision for the use of the title “graduate nurse.” Individuals permitted to practice under the provision of a temporary permit must use the title Registered Nurse Applicant (RN App). 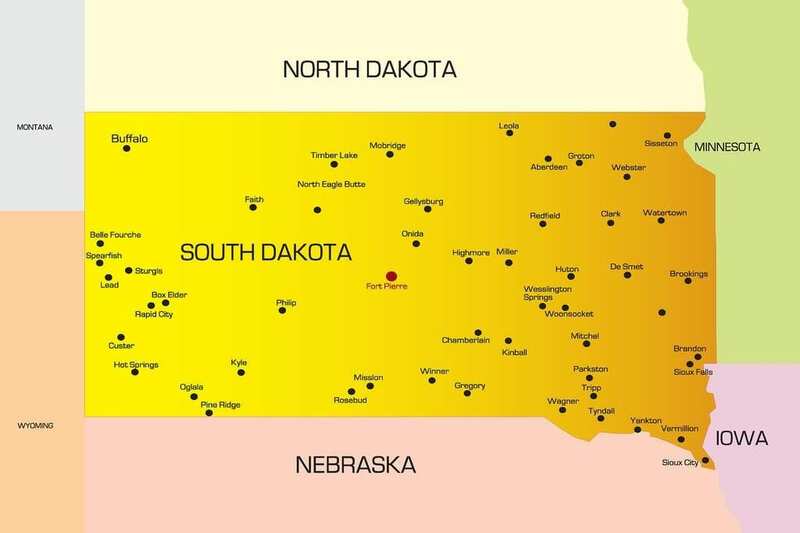 Since South Dakota joined the Nurse Licensure Compact in 2001, applicants whose primary state of residence is another compact state are not eligible for licensure in SD. Applications for the licensure must be submitted online. Do not apply for licensure in South Dakota if your primary state of residence is another compact state. The NCLEX registration for the exam and the fee of $200. NCLEX Registration: Instructions for registering for the NCLEX are available in the Candidate Bulletin. Submit the registration application at the same time you submit the application to the Board of Nursing. Pearson Vue will email or mail the Authorization to Test when the Board receives your application and documents and confirms your eligibility to take the exam. The ATT will outline instructions for scheduling your appointment to take the test. Only those taking the NCLEX for the first time are eligible for a temporary permit. You must meet the eligibility requirements before the Board will issue the non-renewable permit. The permit is valid for 90 days or until you receive the results of the NCLEX. The permit with the issue date and expiration date must be accessed online. You may check the status of your application online by checking the Application Status under Online Services. Provide verification of employment. Verification must indicate a minimum of 140 hours of nursing practice in a 12-month period or an accumulated total of 480+ hours in a 6-year period. Your previous employer must complete the employment verification form and mail to the Board’s office. New graduates do not need to complete the form. Applicants will become null and void one year from the date received by the Board of Nursing. The application fee is non-refundable. You can verify your temporary permit online. The Board will not mail a paper copy of the license. The renewal fee for registered nurse licenses is $90. Only active licenses can be renewed online. If your address changes, you may update your address during renewal. For name changes, you must download and complete the name change form and mail to the Board with the required legal documentation. There are no required continuing education units (CEUs) for renewing a nurse’s license in South Dakota. The state has a minimum practice requirement, which includes completing a minimum of 140 hours of nursing practice within a 12-month period or a minimum accumulated total of 480 hours during the previous 6 years. If you did not meet the practice requirements during the licensure period, you must complete an RN Refresher Course consisting of 80 hours of theory (self-study) and 80 hours of supervised clinical experiences. You will need to apply for a Limited License for use during the Refresher Course to commence the clinical practice. Your license may be renewed or reactivated after completing the course, paying the relevant fee, and meeting the other eligibility requirements. Employment in the healthcare industry has exploded, and nursing is one of a few areas impacted by the growth. Figures from the U.S. Bureau of Labor Statistics indicate a 15 percent growth in the number of jobs for registered nurses from 2016 to 2026. Compared to the average for all occupations – 7 percent – the demand for nurses is exceedingly great. The demand for nurses in South Dakota is evident from the report published by the American Journal of Medical Quality that estimates a need for approximately 1,692 additional RNs by the year 2030. Currently, hospitals are already experiencing the effects of the shortage. One hospital had to temporarily close some of its beds to ensure patient safety. Others have developed initiatives to hire new nurses and retain existing ones. In 2016, Regional Health sought to hire 100 nurses in 100 days and fell short of their goal by just 10 nurses. Aging Baby Boomers and the expansion of health have increased demand for nurses, making it difficult for employers’ all-round. ADN programs help produce nurses at a consistent rate to help meet demand. Graduates are more likely, when compared with other professions, to secure employment within 2 to 6 months of complete their studies and the licensing exam. Mass retirement of aging nurses is another element that contributes to the decline in workforce numbers and leaves many open positions for new nurses. Approximately 33 percent of the nursing workforce in South Dakota is over 50 years, according to Health Resources and Services Administration. According to a Bureau of Labor Statistics 2016 report, registered nurses in South Dakota earned an annual mean wage of $60,840.